In ten years, will American cities still be crippled by bumper to bumper traffic and inadequate public transportation? Or will our urban centers come up with some ingenious technological solutions -- and the funding to make them happen? The Department of Transportation and major U.S. cities are betting on technology to solve their transit woes. As part of its "Smart Cities Challenge," the DOT will give a winning city up to $40 million to help it experiment with innovative transit options. It would also be eligible for an additional $10 million from Paul Allen's Vulcan Inc.
San Francisco, a finalist, imagines a fanciful city with an elaborate network of city-run self-driving cars and shuttles, where the on-demand businesses it's still struggling to regulate are a seamless part of life. The most technologically ambitious part of San Francisco's big vision, created by the city's new Office of Innovation, is getting people out of the driver's seat and into shared, autonomous cars. The idea is to reduce traffic and reclaim parking structures and some roadways for housing and parks. Existing streets will be outfitted with sensors so they can communicate with cars. Cars will be able to talk to other vehicles, orchestrating a delicate synchronized dance to minimize traffic and injuries. The catch? The idea hinges on people selling their cars and relying on a city-run transit service. It's a grand vision, but to convince anyone to give up their cars, the new system would need to be much faster and better executed than San Francisco's current public transit. San Francisco is facing a number of immediate transportation challenges. Its public transit system is underfunded and unreliable. The population is growing faster than the city can accommodate, pricing lower income residents out of the city center and saddling them with longer commutes. Before robotic cars ferry everyone to work, San Francisco would ease people into its plan. At the heart of the first phase is an app that cobbles together a commute from an eclectic range of options. A person can drive her electric car to a first stop, and leave it there so other people can rent it during the day. She'd hop on public transit or grab a carpool to work, use shared bikes or scooters during the day, and maybe grab a ride-sharing service home. Errands that would usually require a car, like shopping, are handled by on-demand services. How does this fictional San Franciscan pay for all this transportation? With the money she makes renting out her car during the day, of course. There are also vanpools, smarter maps, and lockers so that delivery trucks can drop their goods off at night when there's less traffic. The early plan seems to rely heavily on "gig" workers -- people piecing together a living with part-time jobs running errands for on-demand services. It also sees shared vehicles as key, something multiple startups are already offering. Even if it doesn't win the DOT challenge, San Francisco is in a unique position to pursue the plan anyway. Some of the world's largest innovative transportation companies are based in the city. Many are already testing their tech in the city. 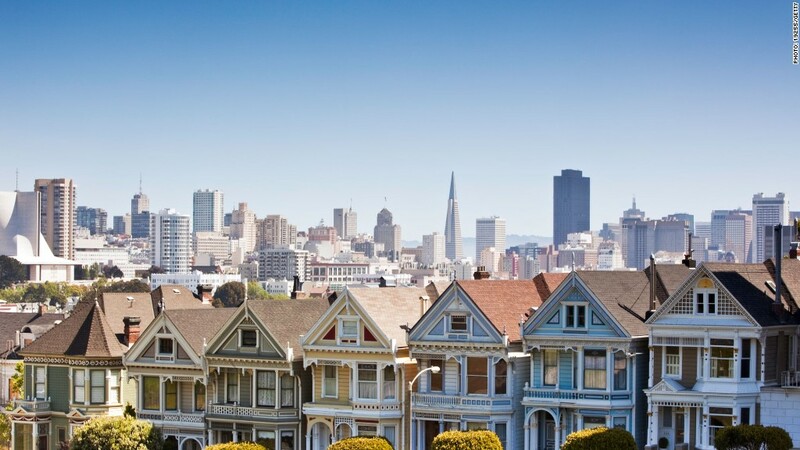 San Francisco is one of seven finalist cities chosen from 78 applicants. Other finalists include Pittsburgh, Kansas City, and Austin, which also sees on-demand car services playing a big part in its future. Each of the finalists received $100,000 to refine its ideas. The winner will be announced in June.